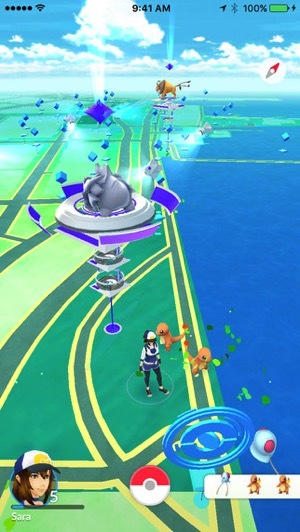 The problem with Pokemon GO is you never really know when a Pokemon is going to pop up on the map, but you do get a clue when you see leaves floating in the air. This is why players walk around aimlessly and tend to forget about their surroundings. This aspect of the game appears to have been exploited by thieves in Ottawa and beyond. Police say a 24-year-old woman and a 23-year-old man were using their phones to play the augmented-reality game in the area near Ottawa city hall around 1:30 a.m. on Wednesday. Ottawa police say two suspects approached the players and one of them grabbed the man’s phone and fled. They say the man ran after the suspect to an area where the suspect was arrested by military police, who turned him over to Ottawa police. While the first man ran after his phone, the second suspected approached the woman and tried to steal her phone; a struggle ensued and the suspect left empty handed. That second suspect was also later apprehended by military police shortly after. One 17-year old Ottawa youth was charged with theft under $5,000, while 19-year old Mohamed Ouedraogo was charged with a single count of robbery. The constable referred to an earlier incident where one resident was playing Pokemon GO and started walking on the road, blocking traffic, thus receiving a ticket from authorities. Also, in Belleville earlier this week, one Pokemon GO player was jumped at 2AM in the morning, when walking near a water treatment plant, suffering minor injuries. We’ve already heard Pokemon GO safety tips from Regina Police and Halton Police, about how people need to be aware of their environments when playing the game (so they don’t crash into police cruisers). Pokemon GO launched in Canada less than a week ago and instantly became the top free and grossing app in Canada. 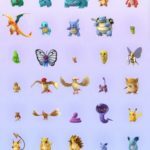 Earlier today, Apple revealed Pokemon GO set a record for the most App Store downloads in the first week of the game’s availability, more than any other app in history.